Spider-man went off to Secret Wars and returned with his new mysterious black suit, the Lizard, and he’s currently dating the Black Cat. She recently got enhanced bad luck powers from the Kingpin. The symbiote had been controlling Spider-man while he slept and he’s been feeling tired. 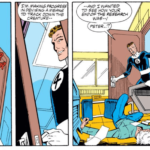 Spider-man tried to go to the FF who weren’t home so instead he went to Curt Connors who couldn’t find out anything. When he does go to the Fantastic Four though it bonded to him and they ended up locking him up. Since science can’t help they try magic to no avail and Spider-man escapes. 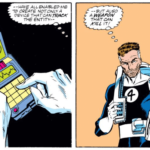 He calls Felicia for help but it takes over during the call so she goes to Reed and is disappointed he can’t help. So she steals a lot of diamonds and gives them to the poor. The rest of the world suffers from the lack of Spider-man, and Dr. 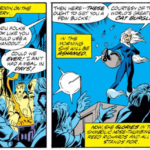 Strange teleports the Hulk into another dimension since he’s cursed by Nightmare where normally he gets better but Spider-man pulls him out at the last second. 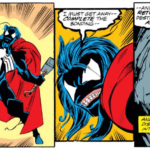 The symbiote separates from Peter Parker who is now super aged as it tries to bond to the Hulk and it quickly takes over. 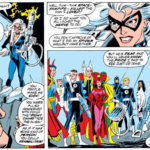 The Avengers and Black Cat bring Peter back to the mansion and she wants to kill the symbiote even if it means killing the Hulk. 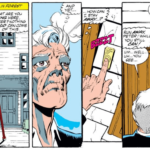 Peter goes to visit Aunt May who doesn’t recognize him initially. Mary Jane asks what’s up after he leaves to comfort Aunt May. 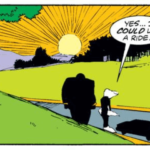 Reed finds him dead the next day and give him a funeral that even the Kingpin attends and Black Cat leaves with him. 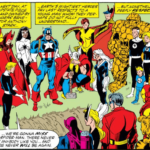 Reed spends time studying and develops a weapon to kill the Hulk if need be and he heads to Mount Rushmore with Thor, Starfox, Captain Marvel (Monica Rambeau), Doctor Strange, Vision, The Human Torch and the Scarlet Witch. The plan is to send him to the Crossroads and if not possible kill him. 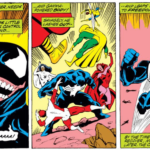 Thor finds the Symbiote Hulk and is able to hit the Hulk which causes the symbiote to fall off him revealing Bruce Banner – only to posses the God of Thunder. He summons lightning which weakens him and when Reed fires his weapon to try and stun him with a sonic blast it only hurts Thor more. 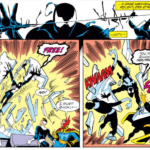 Reed is stuck trying to chose over whether or not to fire the killing blow but hesitates and Thornom escapes into a cave. One by one the Human Torch and Captain Marvel try to go after it only to be routed. 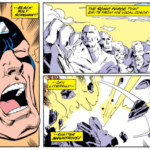 Reed finally decides they will need to go for the kill but instead of using the Omni Blaster, he brought in Black Bolt who speaks, shattering Mount Rushmore and freeing Thor. 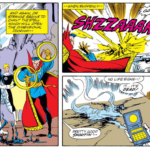 Doctor Strange tries to banish it into another dimension but Black Cat shows up with another omni blaster and kills it. It turns out she’s stolen Peter’s notes, passed them to Kingpin to make a copy and now she’s forever in his service. This entry was posted in Podcast and tagged movie, spider-man, symbiote, tie-in, venom by The Watcher. Bookmark the permalink.